Kitakyushu was selected as one of four Model Cities for Green Growth by OECD in June 2011. In 2011, the Organisation for Economic Co-operation and Development (OECD) selected the City of Kitakyushu as a Green Growth Model City that has a balance between the environment and economy. Three other cities (Paris, Chicago, Stockholm) were also chosen as model cities for this program. The City of Kitakyushu is the first Asian city selected for this honor. OECD published a report on green growth in Kitakyushu. Green growth is a balance between environmental improvement and economic growth. Based on two years of detailed studies and research, OECD announced the publication of a report in the OECD Green Growth Studies series, “Green Growth in Kitakyushu, Japan” (English version published in May 2013; Japanese version published in October 2013). In this report, OECD evaluated the remarkable actions of Kitakyushu and offered additional recommendations to further promote green growth. 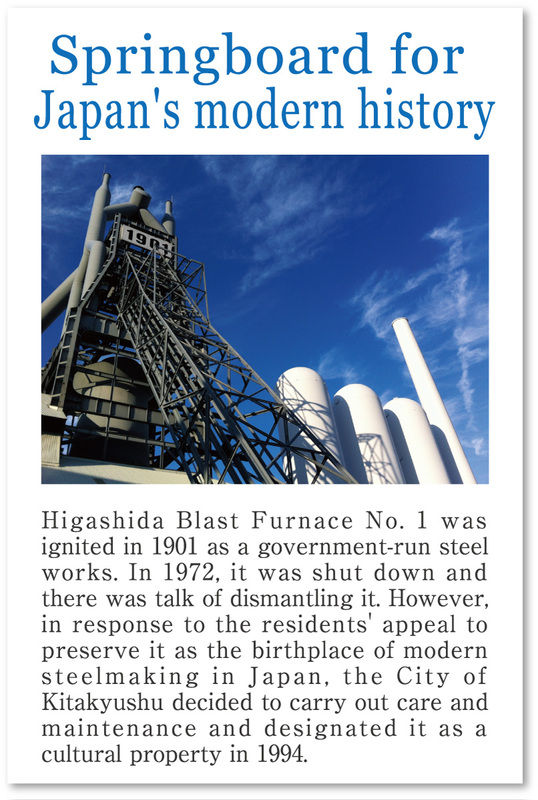 Modern industry in Japan began in the City of Kitakyushu when the government-run Yawata Steel Works, which had the country’s first genuine modern blast furnace, began operating in 1901. The Kitakyushu industrial area supported Japan’s rapid growth as one of four major industrial zones. 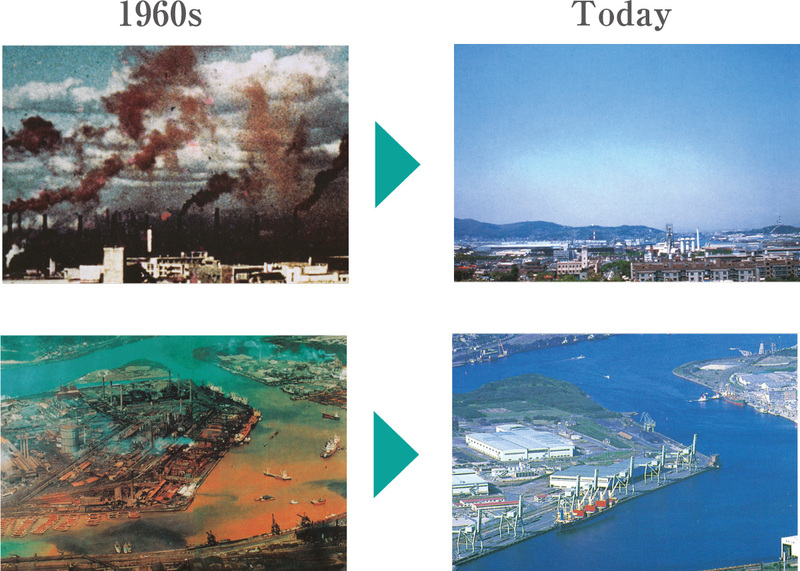 However, this development caused serious industrial pollution in the 1960s. The citizens, government, and corporations worked together to tackle this pollution problem. Dokai Bay, where even E. coli could not survive, was called the Sea of Death. However, over 100 species of fish and shellfish that once lived in the bay have returned, and the sky, which once recorded the worst dust fall in Japan, was improved to such an extent that the national government chose the City of Kitakyushu as a Star Light Town. We have restored our beautiful ocean and sky. Kitakyushu’s efforts in overcoming pollution were honored in 1990 with the UNEP Global 500 Award, and again in 1992, when it was presented with the UN Local Government Honours Award at the United Nations Conference on Environment and Development (Earth Summit), making it the only municipality in Japan to receive the award. By conveying the city’s globally recognized environmental efforts to developing nations with ever-increasing pollution problems through environmental cooperation activities focusing on Asia, Kitakyushu has begun to contribute to the improvement of the global environment. Starting with its friendship city Dalian in China, today Kitakyushu engages in cooperation activities all across Asia, including South East Asia and India. Kitakyushu’s cooperative efforts are not limited to the fields of water and air pollution, but also deal with waste treatment and recycling, water supply and sewerage, and the vast array of environmental problems in Asia resulting from economic growth.